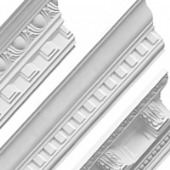 Welcome to our stunning range of decorative Barbican Plaster Coving, in a variety of designs and sizes. 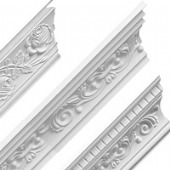 Sometimes called Cornices, our Plaster Coving is made using traditional techniques with traditional period designs. 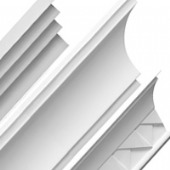 We stock one of the widest ranges of Plaster Coving in the UK. 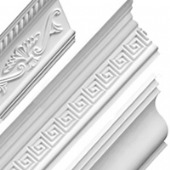 All our decorative plaster work is made by hand using traditional techniques and strengthened using modern fibrous materials, ensuring that your Plaster Coving is robust as well as beautiful. Barbican plaster coving is priced by the metre, or by the foot - depending upon whether your measurements are in imperial or metric. 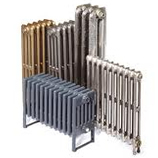 Discounts are available for larger orders, call us on 01723 321 333 to discuss your requirements. 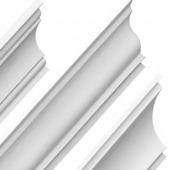 Please note there is a minimum order amount of 20mtrs of coving (unless bundled with other items), if you require less than 20mtrs, please call us to discuss your requirements.